The DS421LT4 is a 42 inch 2500 cd/m² high brightness professional IPS LCD monitor with a full LED back light and local dimming producing incredible, vivid, high contrast images. Typically from stock on 3-5 days. SKU: DS421LT4. Categories: DynaScan, Promo, Public Display. Tags: 24/7, 2500 cd/m2, DynaScan, High Brightness, Public Display, 42", IPS, LED Backlight. 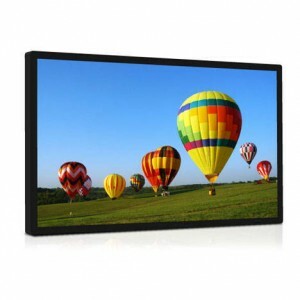 The DS421LT4 is a 42 inch ultra high brightness professional LCD with IPS technology. 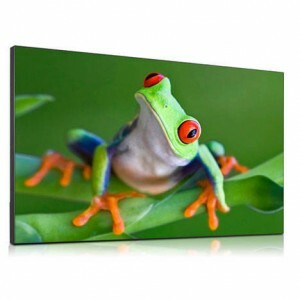 With a world-leading brightness rating of 2,500 cd/m² this display features an LED back light for incredible, high contrast picture quality and low power consumption. 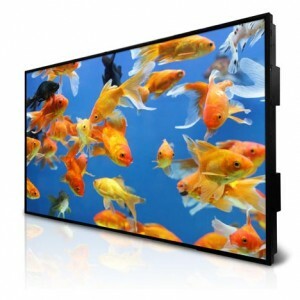 The DS421LT4 features a 5.9 mm bezel width, perfect for video wall applications in bright environments. Designed for use in direct sunlight, the specially designed LCD panel prevents “blackening defect” caused by high temperatures. LED back lighting is both more energy efficient and provides a much brighter image than traditional CCFL backlights. Due to the compact nature of LEDs, displays are also typically thinner. DynaScan’s DS² line of LCDs utilize a proprietary system of LED backlighting which is not only more energy efficient than traditional CCFL backlights, it is also considerably brighter. DynaScan has applied its LED expertise to create a collection of ultra-high brightness LCDs which can easily be viewed in direct sunlight such as store front windows or outdoor enclosures. The display features a local dimming LED back light technique for a remarkably high contrast picture. lighter areas, as opposed to CCFL and edge-lit LED backlights which illuminate an entire screen at all times causing blacks and dark areas to appear washed out. The DS421LT4 comes equipped to display both D55 (5500 K) and D65 (6500 K) CIE colour standards right out of the box – a feature lacking from many of the large format commercial LCDs currently on the market. 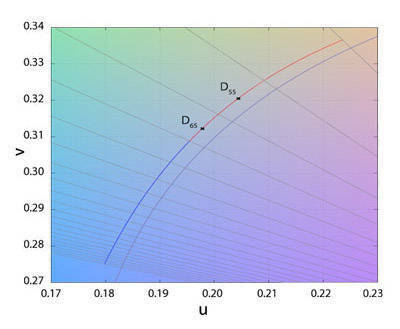 As many displays have a tendency to be rather cool or “bluish”, these colour settings produce a very natural looking image which has a correlated colour temperature to that of daylight. 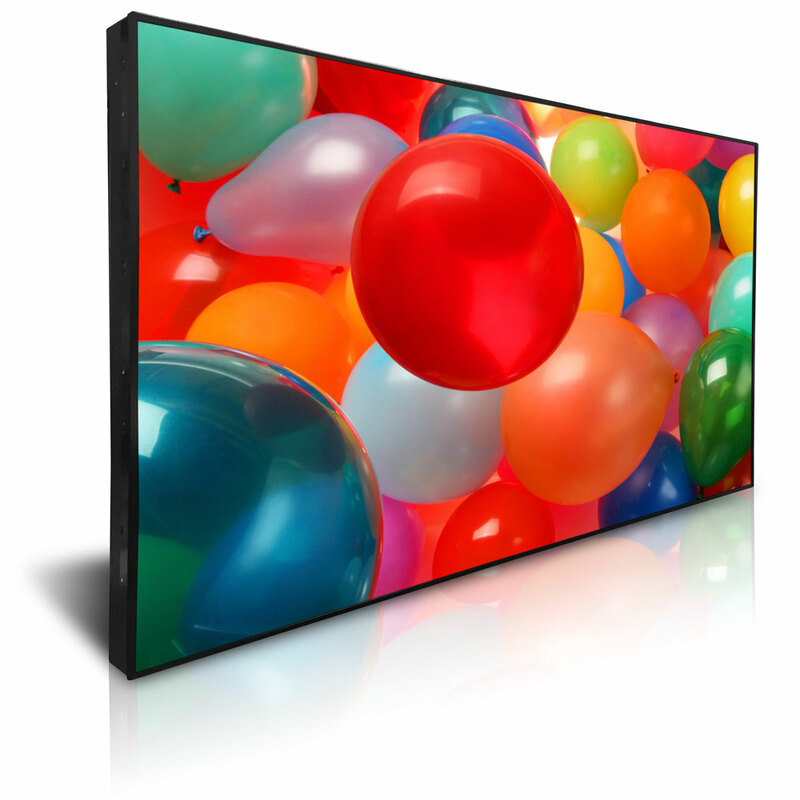 The DS421LT4 features a 5.9 mm narrow bezel display – perfect for video wall applications. With built-in video daisy chaining, a single 1080p source can be used on video walls up to 15×15 in size without the need for any additional external video wall controller. By combining a narrow bezel display with the benefits of a high brightness LED back light, these displays are ideal for indoor environments that receive a high amount of external daylight such as airports, shopping centres and store front window displays. Most residential and commercial screens will blacken or result in isotropic failure when the LCD panel overheats. The DS472LT6 is equipped with a high temperature LCD panel capable of withstanding temperatures up to 110˚C (230°F) without blackening – crucial for direct sunlight applications. Different external lighting conditions require different brightness levels. An on-board light sensor measures the ambient light in the area and automatically adjusts the image accordingly. The DS46LX2 is a 46-inch super narrow bezel LCD monitor featuring full HD resolution and LED backlight. With a bezel width of just 3.7/1.8 mm, multiple screens can be placed side by side to produce a near seamless image ideal for tiled video wall applications. The DS55LX3 is a 55-inch super narrow bezel LCD monitor featuring full HD resolution and LED backlight. 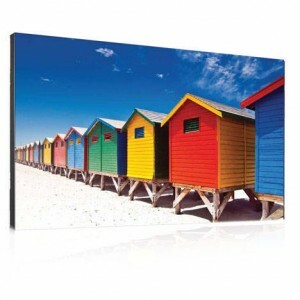 With a bezel width of just 3.4/1.85 mm, multiple screens can be placed side by side to produce a near seamless image ideal for tiled video wall applications. The DS551LT4 is a 55 inch 3000 cd/m² high brightness professional IPS LCD monitor with a full LED back light and local dimming producing incredible, vivid, high contrast images. The DS651LR4 is a 65 inch 3000 cd/m² high brightness professional LCD monitor with a full LED back light and local dimming producing incredible, vivid, high contrast images.